Passport photos must be taken without glasses. This will further strengthen the integrity of the Australian passport. Research commissioned by DFAT has shown that glasses adversely affect passport facial matching – matching is more accurate without glasses. 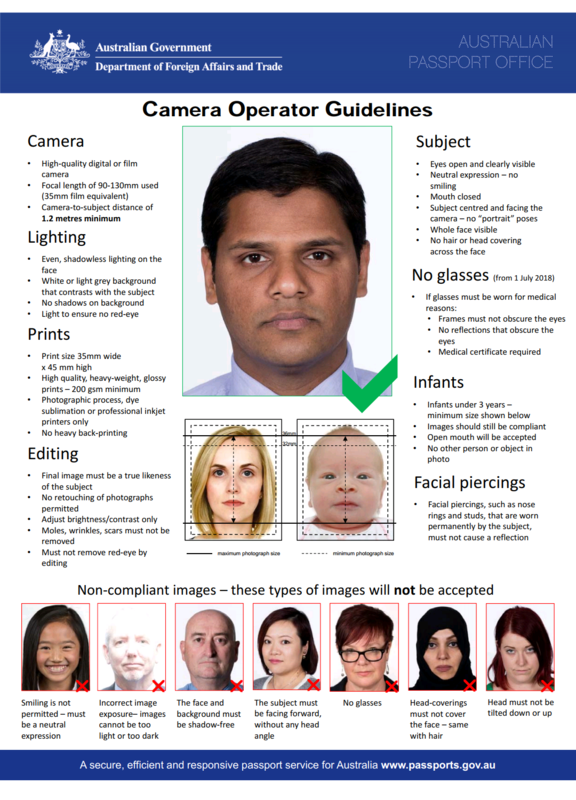 Other passport photo standards are unchanged, such as looking straight at the camera; neutral expression; hair off the face; no red-eye; no shadows; plain background. A limited exemption for medical reasons may apply where supported by a medical certificate.